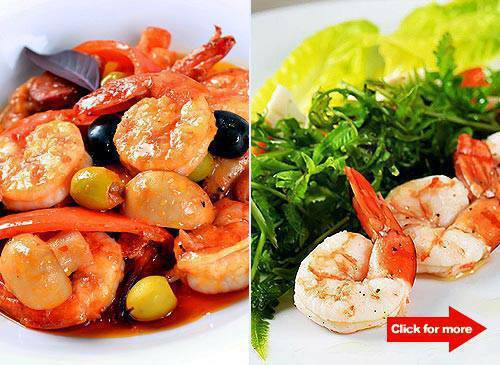 Enjoy authentic Capampangan dishes prepared by Chef Sau del Rosario. Capampangan, with a twist. Click for more. (SPOT.ph) Diamond Hotel Philippines celebrates a grand Filipino Food Festival this May at its premiere dining destination, Corniche. This year's highlight is Culinaria Capampangan prepared by renowned Chef Sau del Rosario of Villa Café. Hailing from the "Culinary Capital of the Philippines," French-trained Chef Sau brings to Diamond Hotel the genuine flavors of Pampanga at the buffet from May 10 to 19, 2012, during which guests availing of the buffet will also get a chance to win roundtrip airline tickets for two to Bohol with accommodations. To be included in the Corniche lunch and dinner buffet are innovative and masterfully created Capampangan fare such as Lamb Chops Ratatouille in Kaldereta Sauce: just the words "lamb chops" are enough to make us, unapologetic meat-lovers, swoon. What more if it's prepared in kaldereta sauce, Chef Sau-style? So tender is the meat that its savory flavors quickly explode in the mouth at first bite. Pair it with a glass of wine, and you might just end up feeling like royalty. There’s also US Beef Rib-Eye and Portobello Confits in Bistek Sauce, Gule Marangle (Pinakbet with Tuyo Flakes), Begukan (Binangonan Pampanga-style) with Crispy Pork, and Crispy Pata Kare-Kare with Farm Vegetables and Bagoong. The Gambas with Chorizo and Mushrooms, with its plump, juicy shrimps, is a standout. Even those who aren’t fans of seafood shouldn't write this off, because the addition of chorizo makes it a definite must-try. There are dozens of other dishes to choose from-including our favorite, the flavorful and sinfully good Pork Sisig Foie Gras. 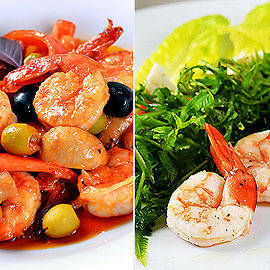 The buffet at Corniche starts at P1,600 nett per person. Photos courtesy of Corniche.